VDW , headquartered in Munich, turned to the Jive Partner Pokeshot///SMZ for social business consulting and software support when it decided to implement a social business software for its more than 250 staff members. Its new employee portal VDW Engage was launched in October 2013 leveraging the power of Jive Cloud. To ensure that it is well equipped to meet the challenges of tomorrow, VDW realized how crucial it was to develop and better exploit its internal processes, improvement opportunities and innovation potential. For VDW and its General Manager Dr. Matthias Kühner, the key objective was to find social buiness software that would help facilitate internal communications and collaboration among employees. These considerations prompted VDW to begin exploring the topic of social business about a year ago. Once the initial requirements and use cases had been identified and defined, the search began for a suitable solution. Jive Social Business Suite and IBM Connections made the short list. At the end of the evaluation process, VDW opted to go with Jive as a result of feedback from employees who participated in a pilot project with the various solutions. The decisive factors were the usability and practicality of Jive. It was also important for VDW to have a cloud solution that offered flexible expansion options. With SmarterPath, the social learning management tool developed by the jive partner Pokeshot///SMZ, VDW found just such a solution. SmarterPath plays a major role in the new social business software– it enables VDW to upgrade employee onboarding, carry out training programs and accelerate partner enablement. The social learning management technology can be integrated directly in the Jive platform, which was one of the big pluses of choosing Jive. After VDW decided to use Jive, VDW looked to the Jive partner Pokeshot///SMZ to help it implement the Jive-powered social business software. VDW required that one provider be able to perform all support services – from implementation consulting to product delivery and set-up to technical assistance. In order to quickly get employees working with the new social business software and achieve the first results, it was important to take a pragmatic approach to implementation. Together, VDW and jive partner Pokeshot///SMZ developed a project framework that would enable Jive to be set up within six weeks. During the implementation phase, special introductory sessions were held with key users and concept and execution workshops were carried out for the individual use cases. Jive partner Pokeshot///SMZ also configured and customized the social business software Jive to fit VDWs own specific requirements. A fast, trouble-free roll-out was made possible by taking advantage of Jive Cloud’s flexibility; however, individual settings and adjustments could still be implemented. The backing and support of VDWs management were vital to successfully making Jive the primary platform for employee collaboration and communications. The active participation of the management team at meeting and workshops enabled swift decision-making and fast action on key issues. What’s more, management’s close involvement throughout the roll-out process made clear the new social intranet’s importance within the company. VDW also made certain that specific change management and communications measures accompanied the introduction of Jive, which were also a key factor to the roll-out’s success. The new social business software was launched mid-October with a central kick-off event and a video message from the General Manager Dr. Matthias Kühner. Additional communications and roll out activities are being implemented to encourage and help employees take their first steps on the social business portal. These activities will also prove valuable in transforming the Jive social business suite into a sustainable employee community. Jive partner Pokeshot///SMZ’s consulting specialist Christoph Rauhut and product expert Nils Heuer have provided VDW support throughout the entire Jive roll-out process and with follow-up activities. Results achieved so far will be monitored against the VDWs objectives and expectations in forthcoming review workshops. These sessions will also be used to identify new use cases and devise optimization strategies, with the goal of expanding the social intranet’s impact and effectiveness. 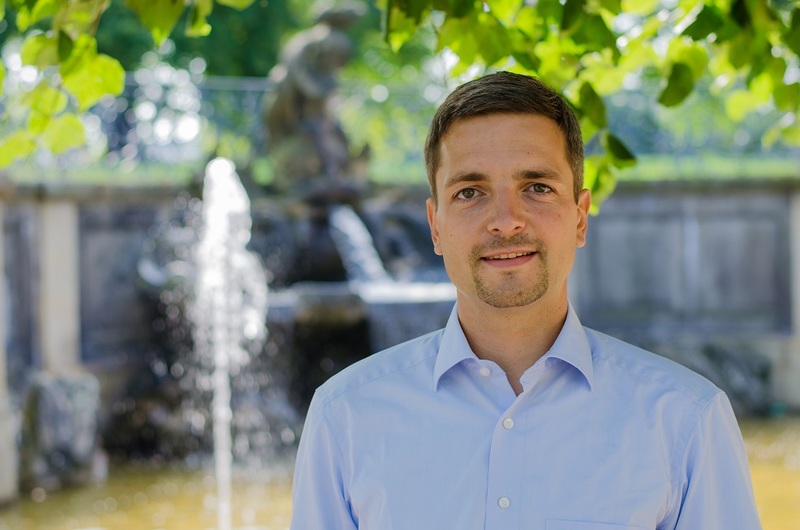 Christoph Rauhut, graduated in Business Computer Science, joins our team as Senior Consultant in the area of Social Business Strategy. Until now he worked for T-Systems as Senior Consultant. There he was responsible for a team of consultants and software experts for Jive technology. He managed consulting and software implementation projects and he was responsible for set up of the partnership with Jive Software. As an expert Christoph Rauhut will make use of his competences, to set up Social Business Strategy Consulting at SMZ and to consult our customers. Learn more about our consulting portfolio.